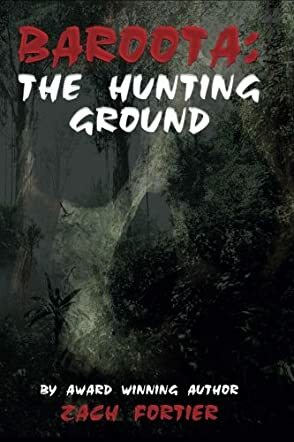 Nick Hudson is a former military man and retired police officer who just goes through the motions of living day by day in Baroota: The Hunting Ground by Zach Fortier. In this first book of the Director Series, Nick and his wife, JoAnn, meet her friend Jessica for dinner to meet Jessica’s new boyfriend, Jay. Given his suspicious nature, Nick feels that Jay is rather strange, especially when Jay asks Nick how he feels about ‘…women and children being kidnapped and forced into slavery overseas.’ Jay goes on to explain the Director’s formation of a new task force that will work outside of government interference to hunt down and bring these criminals to justice and invites Nick to join. After tremendous soul searching, Nick agrees but what he discovers once he is brought together with other team members is a shocking surprise. Along with Nõnkos Zia (Nõn) who is a survivor of human trafficking herself, Nick finds himself in the fight of his life. Will they win the dangerous game the Director has set up or will they become victims themselves? Zach Fortier has created an amazing world in which the good guys have to fight for their lives against tremendous odds. Baroota: The Hunting Ground is Book One of the Director Series which promises tremendous action and well developed characters. Nick and Nõn are kindred spirits – two people who have seen the worst life has to offer – and they want to try to make a difference by removing some of this ugliness from the world. Great book! Quite exciting and hard to put down. The dialogue is tight and the descriptions are gripping. Excellent dialogue (with occasional bad language) and nail-biting action keep you turning the pages to see how these two may survive. Baroota: The Hunting Ground is definitely a must-read for fans of fast-paced action in thriller fiction.